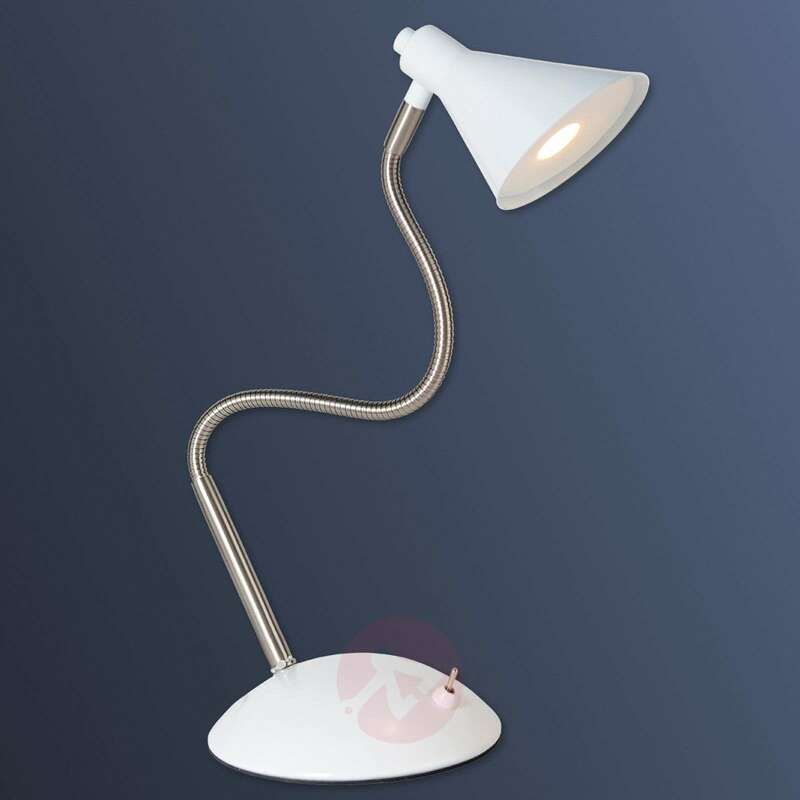 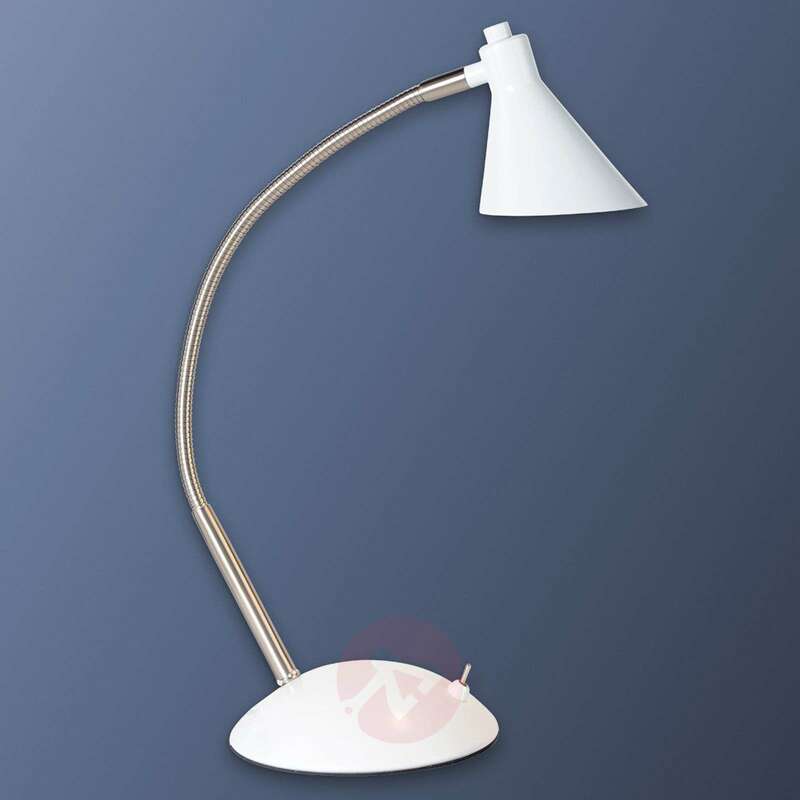 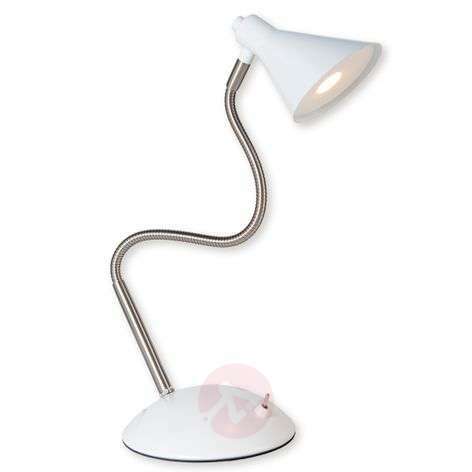 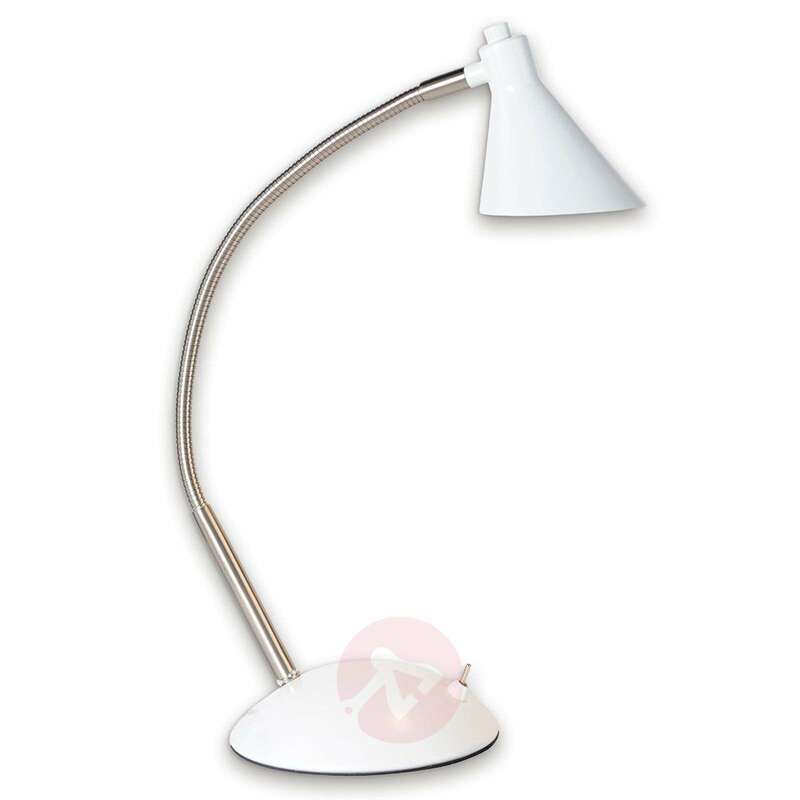 The retro character of the LED desk lamp Milou makes it a popular light fitting on a desk at home. 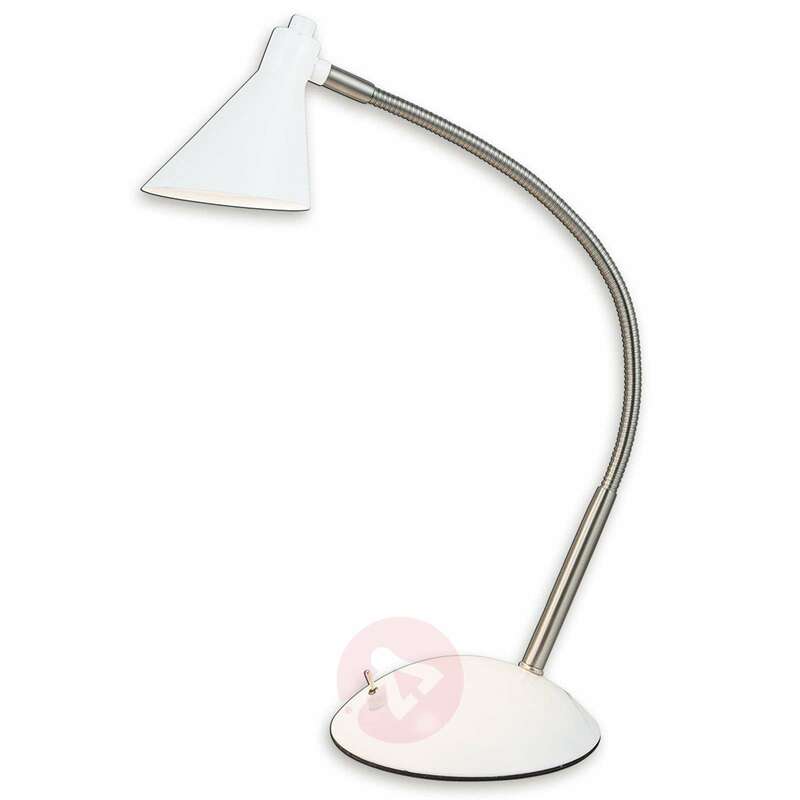 Thanks to the silicon arm, the head of the light can be rotated and bent in any direction. 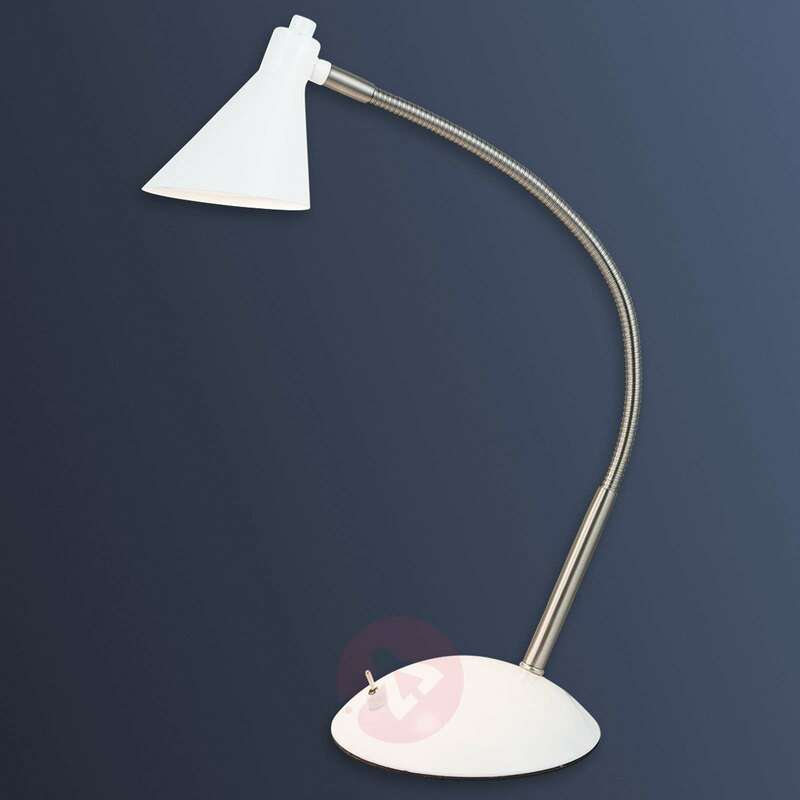 With a switch on the base.